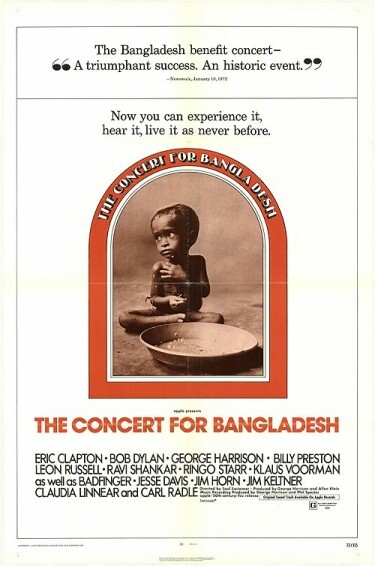 The Concert for Bangladesh was the first benefit concert of its kind in that it brought together an extraordinary assemblage of major artists collaborating for a common humanitarian cause – setting the precedent that music could be used to serve a higher cause. The concert sold out Madison Square Garden and along with the Grammy ® Award-winning triple-album boxset, and the feature film, has generated millions of dollars for UNICEF and raised awareness for the organization around the world, as well as among other musicians and their fans. It is therefore acknowledged as the inspiration and forerunner to the major global fundraising events of recent years. 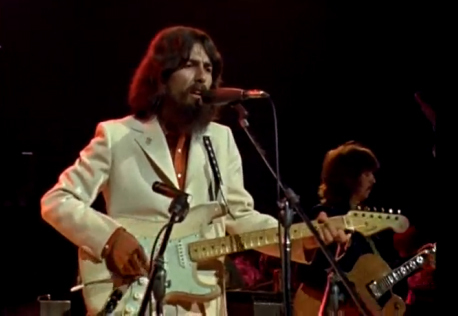 Performers: George Harrison, Eric Clapton, Bob Dylan, Billy Preston, Leon Russell, Ringo Starr, Ravi Shankar, Ustad Ali Akbar Khan, Ustad Alla Rakha and Kamala Chakravarty. A 2 CD remastered version of the album was released in 2005.